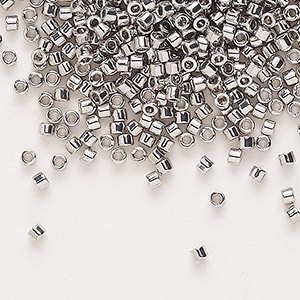 Seed bead, Delica®, glass, opaque galvanized silver, (DB0035), #11 round. Sold per 50-gram pkg. Item Number: H20-DB0035M Have a question about this item? 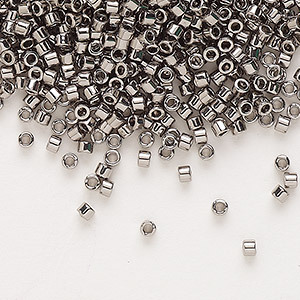 Uniform size, shape and large hole make Delica® beads perfect for precision work. 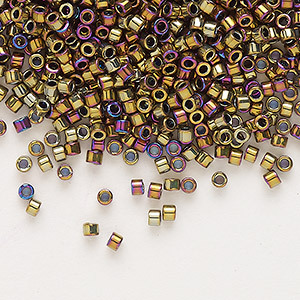 There is absolutely no better bead for brick and peyote stitch projects. 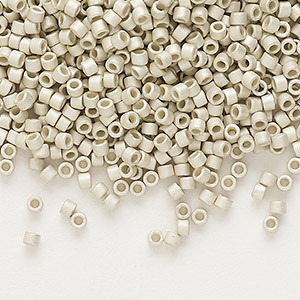 All Delica® seed beads are a uniform size 11/0. Metal finish will wear off with use. To extend the beads' life, use an artist fixative such as Mod Podge®. 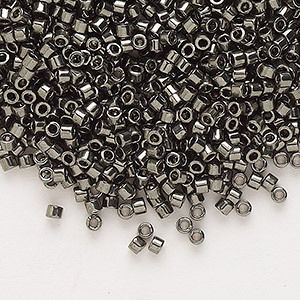 A 50-gram package can contain approximately 10,000 beads. 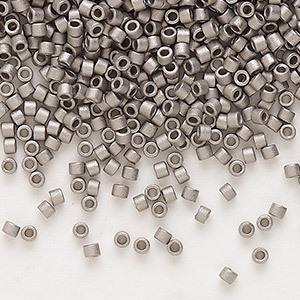 View more information on Seed Bead Finishes and Treatment Durability. Seed bead, Delica®, glass, opaque galvanized silver, (DB0035), #11 round. Sold per 7.5-gram pkg. 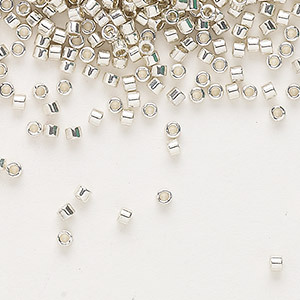 Seed bead, Delica®, glass, opaque galvanized silver, (DB0035), #11 round. Sold per 250-gram pkg.